Not in the dockway… hmmm, where was was it? 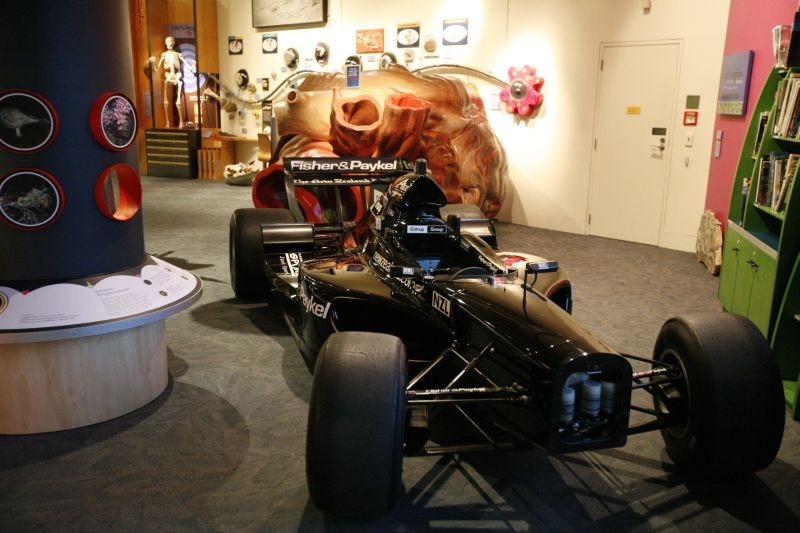 It had to be back of house because Te Papa hadn’t closed yet – where was it? Black Beauty back of house – no nose but still hot! Copyright Te Papa 2009. 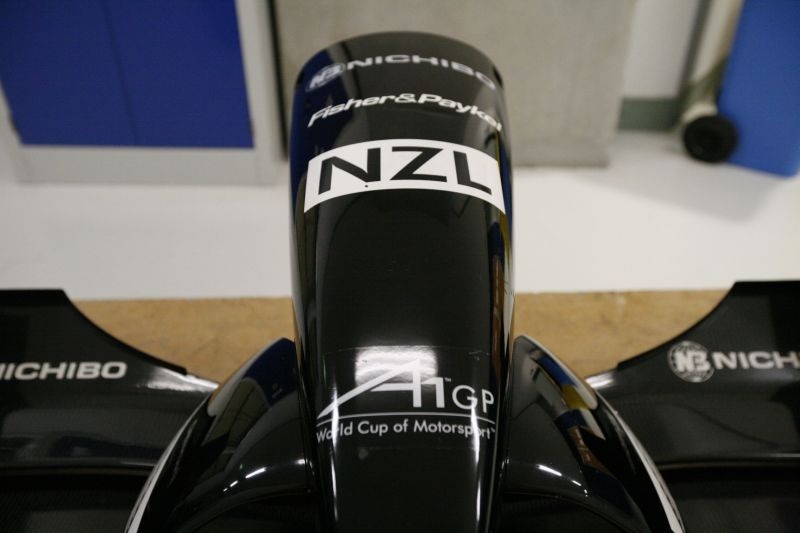 And as you know – taking the nose cone off for moving it around is a good thing, its pretty nose too. 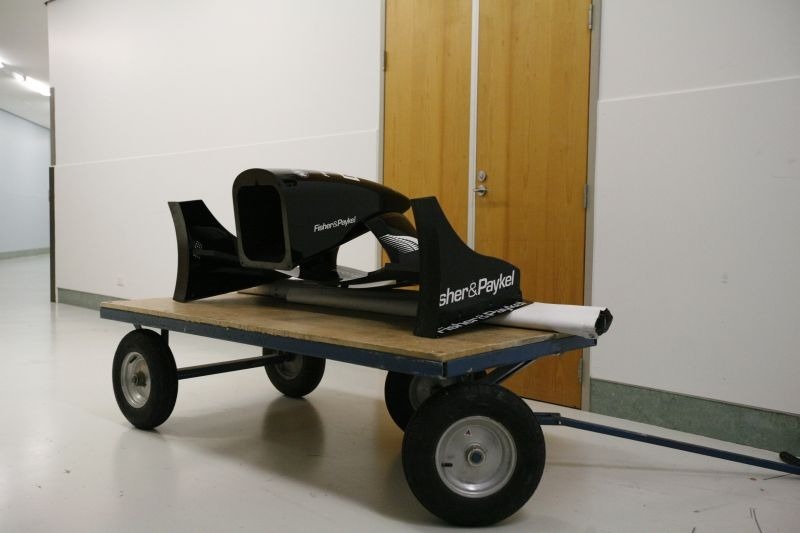 A little different (to my untrained eye) to the F1 noses and wings but thats all I’ll say – you’ll need to come check it out for yourself and compare. 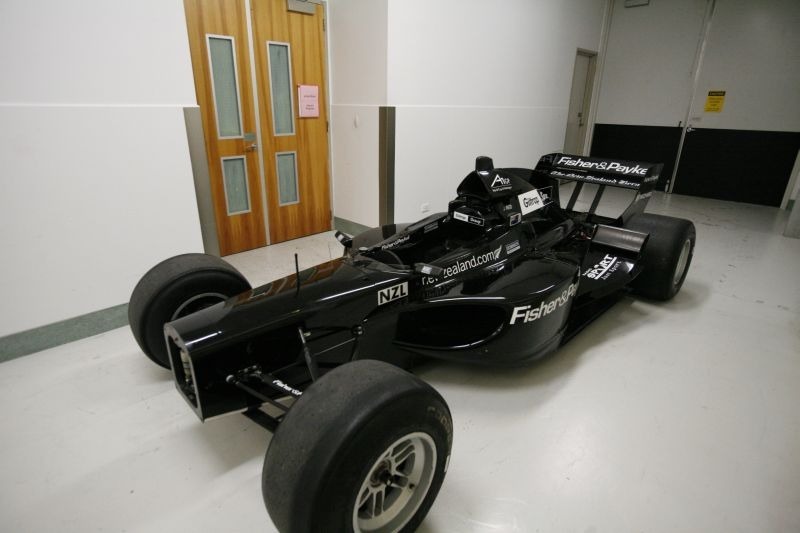 Black Beauty nose cone, back of house. Copyright Te Papa 2009. 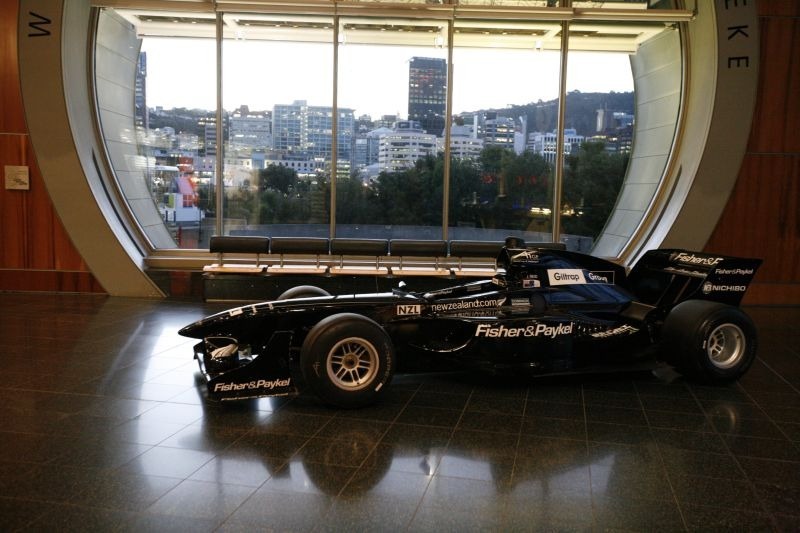 The NZL A1GP car in the Wellington Foyer, Level 2. Copyright Te Papa 2009. The car is very beautiful. it structure is quite streamline. But what about the speed and fuel?? I want to know more about this car.